Teton County Model United Nations (TCMUN) conferences typically take place over Veterans Day weekend in mid-November. 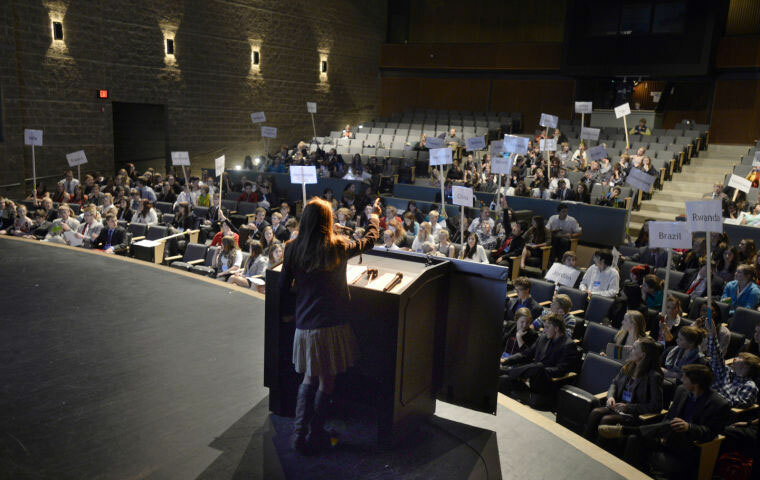 The 2018 Teton County Model UN conference took place at Jackson Hole High School on November 12 & 13. We welcomed 200 student delegates and faculty advisors from 10 schools across Wyoming and Idaho. Students and community members are invited to attend our pre-conference community reception on the Sunday evening before the conference. Last year’s keynote speaker was Prof. Jim Scott. Dr. Scott, the award-winning Herman Brown Chair and Professor of Political Science at Texas Christian University, has written numerous publications on U.S. foreign policy analysis with a focus on democracy promotion and the role of Congress. He spoke on the impact of U.S. foreign aid for democracy assistance abroad. Thank you to all of our supporters who help make Teton County Model UN possible. We hope to see you at next year’s conference! What is Teton County Model UN? During this simulation of the United Nations system, students play the role of diplomats from countries worldwide with the aim of passing resolutions on pressing global issues. For example, students on the Security Council may debate issues like peacekeeping efforts in Sudan or Iran’s nuclear program. The Teton County Model UN Blog is the primary resource for TCMUN participants. In addition, to learn more about Model UN in general please see our Model UN Research Guide. Over the past decade, InterConnections 21 has supported student participation in various national and international Model United Nations (MUN) conferences including trips to New York City, Mexico City, Santa Barbara, Vancouver, Denver, and Bilbao, Spain. 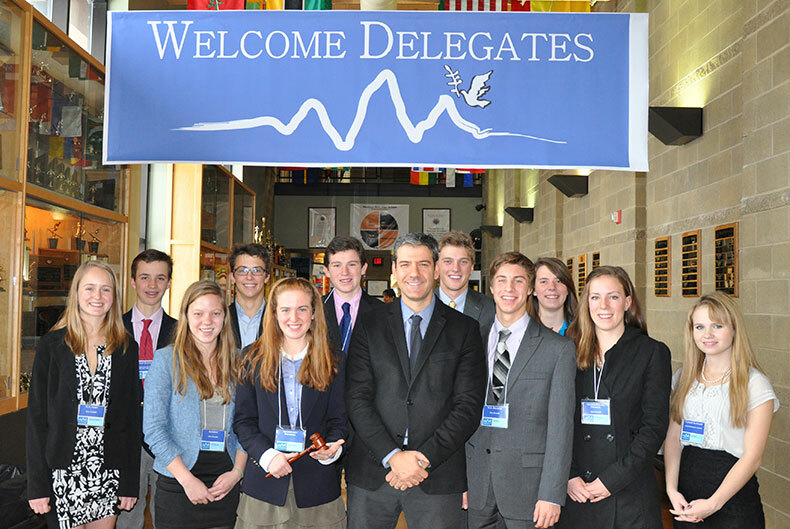 To enable more students from the Northern Rocky Mountains to benefit from MUN experiences, IC21 has been working with Wyoming high schools since 2006 to organize the Teton Country Model UN (TCMUN) conference in Jackson Hole, WY. Seventy-two students from Jackson and the surrounding area participated in the inaugural TCMUN conference at the Journeys School in Jackson, WY. Since then, 2,053 participants from schools around Wyoming and Idaho have participated in TCMUN. IC21 continues to reach out to students from around WY and the Northern Rockies. Many thanks to Melinda Binks at Fall Creek Productions for creating this video. In addition to IC21, the following have all provided financial support for TCMUN: the Wyoming Humanities Council, the Rotary Foundation of Jackson Hole, the Community Foundation of Jackson Hole and Old Bill’s Fun organized by the Community Foundation of Jackson Hole, and Valley Books. In addition, many local businesses provide in-kind donations to help us run the conference.